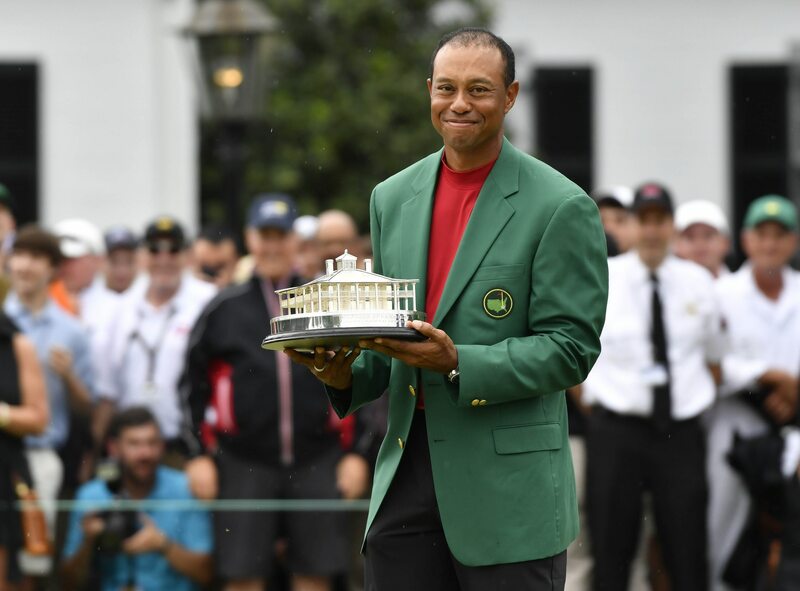 Tiger Woods broke out of an 11-year major championship slump Sunday, winning the 2019 Masters by one stroke to secure his 15th career major victory. A bit of history: It’s pretty remarkable to think that Woods was stuck at No. 14 for more than a decade. When he defeated Rocco Mediate at Torrey Pines in 2008 to win the U.S. Open, he was just 32 years of age. Due to injuries to his knee and back, and the toll his personal issues took on his career, Woods fell into a vortex that threatened to tank his legendary career. Heading into the 2019 Masters, many thought Woods, 43, would never emerge again as a tournament winner, let alone a major champ. Four magnificent days of work changed that narrative in a big way. Looking ahead: Woods’ Masters win now gives him a realistic shot at gaining some meaningful momentum to eclipse Jack Nicklaus’ record of 18 career majors. Woods won major No. 15 at the age of 43 years and 103 days. While most golfers don’t win majors into their 40s, it’s not unprecedented. In fact, nine majors have been won by golfers older than Woods is right now. The bottom line: In addition to the historical precedent, there’s the simple fact that Woods was magnificent this past weekend at Augusta. While not flawless, he showed a mastery of the game we have not seen from him in ages. If Woods can get back to playing at this level on a more consistent basis, then it’s not only possible he will win four more majors to beat Jack Nicklaus’ record, it’s probable. “He’s got me shaking in my boots, guys.” ~ Jack Nicklaus on ‘Live From the Masters’ referencing Tiger now approaching Jack’s 18 major mark.